Every internal door makes an impression, it complements the presence of any room, so why not impress with the perfect handcrafted internal door. Each door we produce is different, with the opportunity to tailor every door to any specification, each door is essentially a blank canvas. Sometimes you just cannot avoid an awkwardly sized door opening, whether you are renovating a house or managing a new build project where space might be at a premium, made to measure sized doors might be required. Many of our internal doors are available in a multitude of styles and sizes, however can be adapted to fit any space. We expertly craft every individual door set in our workshop to any width or height to suit your vision. And we pay undivided attention to the finer details. Our Internal doors are primed finished, ready for painting. View our range of internal doors. 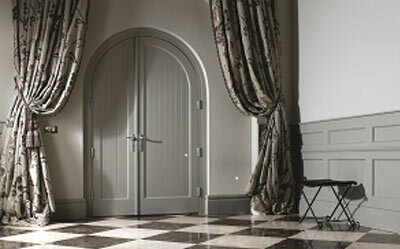 The ordering and enquiry process for the made to measure doors is simple. The Trunk team are more than happy to help at any stage of the process.